Sorority Noise’s Cam Boucher has issued an update following allegations made against him this past April. Sorority Noise have dropped off of their upcoming tour dates. Cameron Boucher of Sorority Noise has responded to accusations against him via his Twitter account. He calls the accusations “baseless.” The full reply can be found below. Sorority Noise will be going on hiatus after their upcoming tour. You can find the band’s announcement, along with a stream of their new acoustic LP, below. Sorority Noise will release their new acoustic album, YNAAYT, on March 4th. Today they’ve shared “Chelsea Hotel #2” and pre-orders are now up. Cameron Boucher of Sorority Noise and Field Medic have just released a new charity split for Valentine’s Day. Sorority Noise have announced new tour dates. Triple Crown Records has been putting out some of the scene’s most essential records for twenty years now, so it makes sense that their anniversary show ended up being one of the best shows I’ve seen this year. The four-band show had a mix of styles that spoke to the variance in sound the label has always had; a fan of almost any kind of music could’ve found a set to like. I ran through some of my favorites below. Sorority Noise and Shortly have been added to Triple Crown Records’ 20th anniversary show at Brooklyn’s Music Hall of Williamsburg on December 8th. Tickets are now on sale. Sorority Noise’s Cameron Boucher covered “Sally’s Song” from the Nightmare Before Christmas for Stereogum. You can watch that, along with a performance of “Week 51,” below. Sorority Noise are releasing a new 7″ featuring two unreleased songs. Cameron Boucher has released his new song “Hell is Warm” on Bandcamp. 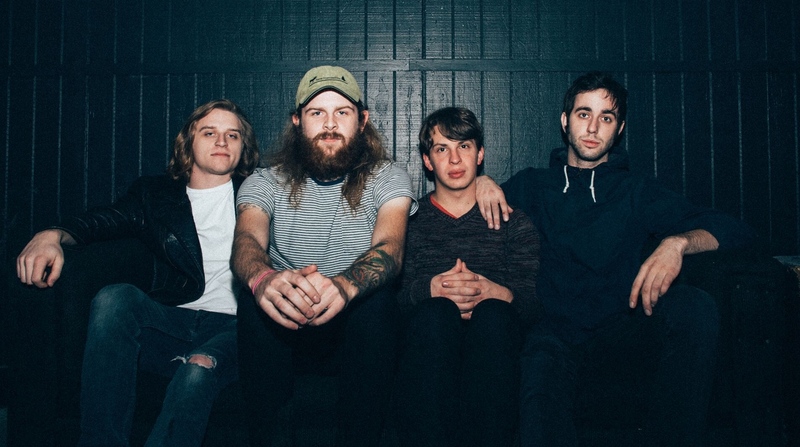 Sorority Noise’s new song “Disappeared” has been released. Sometimes you get the feeling that people in bands are just pandering to certain crowds — If I say this, then people will react — but it’s truly not like that for me. Everything I’m saying and playing is as real as I can be, and I feel like that’s hard to convey. Someone could tell me that a song I wrote sucked, and that’s fine with me — most music is not for most people — but when someone specifically takes a lyric and makes fun of it or makes light of it… That’s incredibly personal for me. That’s hard for me, because it took a lot out of me. So I think the big thing is that I just don’t really pay attention to what people may or may not think, because I write at such a high volume that there’s no buffer for that. Boom, there I am. That’s kind of how it goes. Sorority Noise have shared their cover of Brand New’s “Me vs. Maradona vs. Elvis.” You can stream that below. Zac Djamoos reviews the Triple Crown Records anniversary show. Becky Kovach reviews the new album from Sorority Noise. Becky Kovach reviews the new EP from Sorority Noise.